Come on, baby. Let’s do the twist. 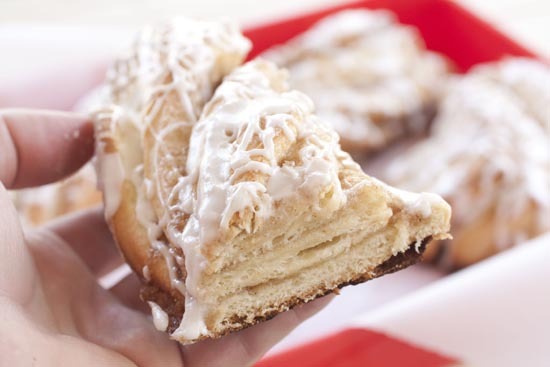 This recipe is actually just a cinnamon roll recipe with one small change. But that one change results in these fun twists of dough rather than rolls. For some reason these seem larger than cinnamon rolls even though it is the exact same amount of dough and exact same number of finished pastries. 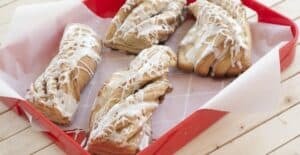 What I really like about these Cinnamon Twists is that they are easy to share. Once the twists are baked, you can kind of peel off layers of the twists which makes them less intimidating than a huge roll. Not that you’ll want to share them… but you could. 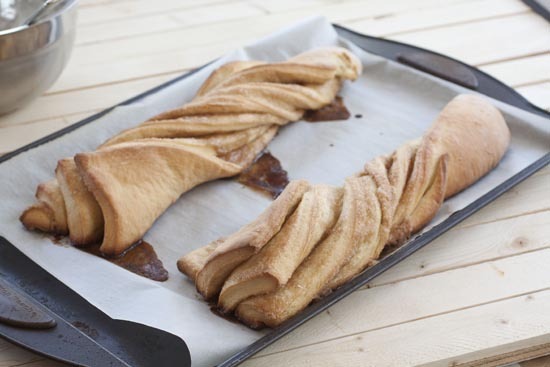 Homemade enriched dough with a sweet and rich cinnamon filling. Instead of rolling them you can twist them into long sticks. 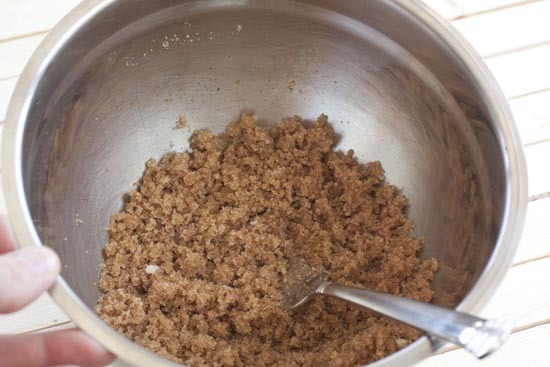 1) Stir yeast, 1/2 teaspoon sugar, and water into a mixing bowl. Let sit for ten minutes until it’s foamy and all the yeast is dissolved. 2) Stir in milk, brown sugar, sugar, eggs, vanilla, and salt. Once combined, stir in flour one cup at a time. 3) Add dough to a stand mixer and mix with the dough hook for 4-5 minutes until the dough is soft and combined well. 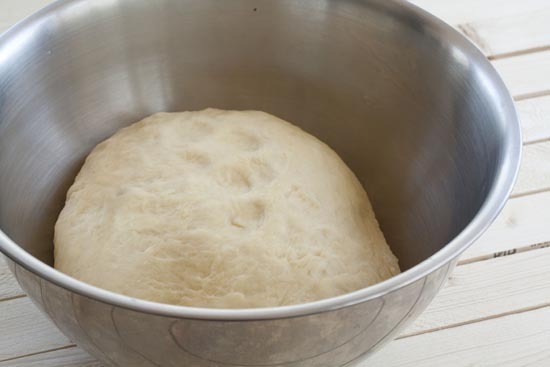 You can also do this by hand by working the dough vigorously in the bowl. 4) Add softened butter and let the dough hook beat it into the dough. If they dough is very stick, add another 1/4-1/2 cup flour. It’s okay if the dough is a bit sticky though. Beat with dough hook for another 4-5 minutes. 5) Add dough to a clean metal bowl and dust with flour. Cover and let rise for two hours until it doubles in size. 1) Mix all ingredients well in a bowl and set aside. 1) Turn dough out onto a floured surface. Roll into a large rectangle. It should be about twice as long as it is wide so 12×24 is a good goal. 2) Sprinkle filling over the surface of the dough. Press the filling into the dough slightly. 3) Roll dough starting from the long end. Roll tightly and once rolled, try to even out the roll so each part is the same thickness. 4) Cut long roll in half in the middle. Then slice down the middle of each roll creating semi-circles of dough. Carefully twist each of the four long strands once around and place them on a baking sheet with parchment paper. 5) Cover and let rise for an hour. 6) Bake rolls in a preheated 350 degree oven for 18-20 minutes until they are nicely browned around the edges. 7) Let rolls cool for about 30 minutes and then drizzle with icing. These are best served warm. If you are serving them the next day, it’s not a bad idea to microwave them for 10-15 seconds just to warm them up. This is my favorite dough for any sort of rolled pastry. It’s dense, not too sweet, and bakes up beautifully. You can also make it in just a few hours which is pretty good for a baked good. 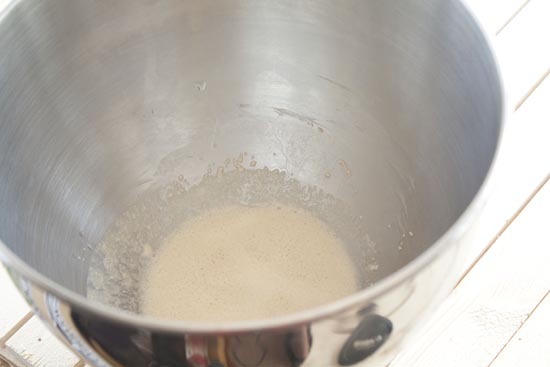 Start by adding a pinch of sugar, the yeast, and the water into a mixing bowl. Stir this together and let it sit until the mixture is bubbling, about 10 minutes. This will just make sure that the yeast is dissolved and that it’s alive. Then you can add in your other dough ingredients. Add in everything but the flour and butter first and stir it well to combine. Then stir or mix in your flour. If you’re using your hands, stir the flour in with a large spoon and then knead the dough until it is smooth and all the flour is incorporated evenly. If you’re using a mixer (easier) just mix the dough with the dough hook for about 4-5 minutes until the dough is smooth. As with any dough, if it is sticking to the bowl then add in a bit more flour. If it is really dry, add in some extra water or milk. 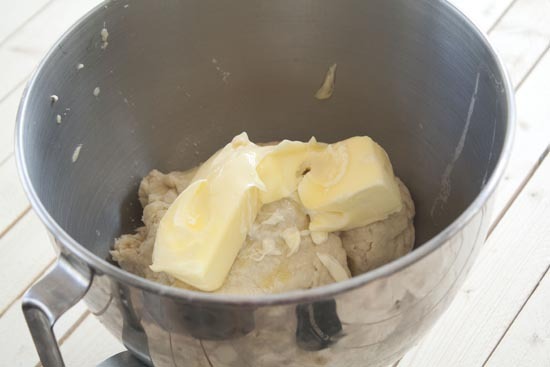 Once the dough is pretty smooth, add your softened butter to it and keep mixing to mix in the butter. The butter should fold right in. Once the butter is mixed in, add the dough to a bowl, cover it, and let it rise for about two hours. You should end up with a really soft and easy to work with dough that has about doubled in size. I made the filling for these twists pretty simple. You could add in some nuts if that’s your thing. I just used some sugar, brown sugar, and a good amount of cinnamon and nutmeg with some melted butter. Stir that all together until it’s an even consistency. 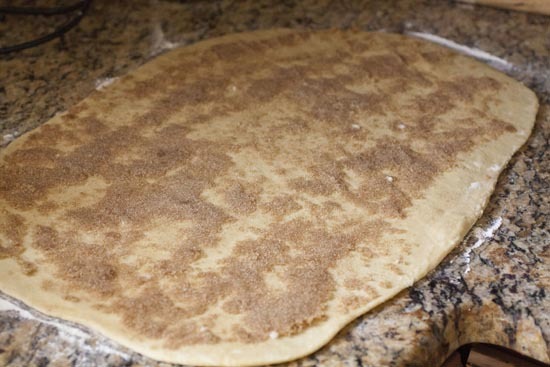 Next, roll out your dough to a large rectangle. The dough should be about twice as long as it is high. Mine ended up being about 12 inches by 24 inches. Then go ahead and sprinkle on your filling. I recommend lightly packing the filling on so that it stays in place as you roll and slice the dough. Roll up the dough tightly into cylinder. Roll it starting on the long end. Once you get it rolled up, slice it in two so you have two even cylinders. Roll it up, half it! Now for the fun step. If you were making cinnamon rolls you would slice these into, well, rolls. Instead though, you want to slice right down the middle of the cylinders… like so. It might look like everything is going to fall apart, but don’t freak out. Just carefully pick up one half of the cylinder and twist it a full turn. 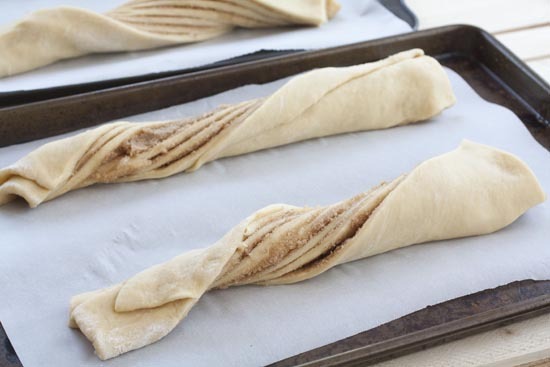 Try to keep the layers tight as you twist and then place the twisted dough on a baking sheet lined with parchment paper. Your finished twists should look something like this! Don’t worry if the layers separate a little bit, but try to keep them mostly together. Let the twists rise a second time for at least thirty minutes. Then slide them into a 350 degree oven for about 18-20 minutes. These won’t need as long to cook as cinnamon rolls because they have more surface area. I also recommend rotating the sheet pans halfway through just to make sure the twists are cooking evenly. After about 18 minutes, you should have these beautiful things. Let them cool for 20-30 minutes before icing them. 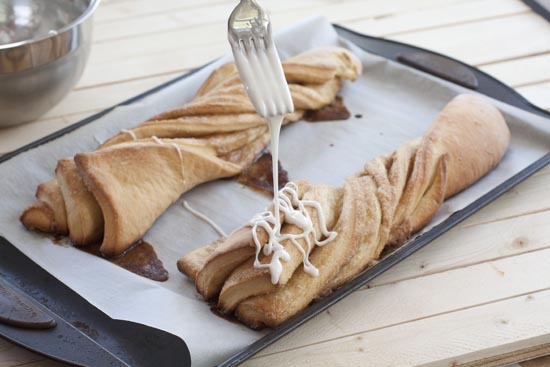 Then just stir together your icing and drizzle it all over the twists. I cut each of my long twists in half ending up with eight finished twist pieces. Each of which was very delicious. If you are a homemade cinnamon roll fan, these will be familiar flavors for you, but just in a new form! I love cinnamon rolls for brekkie. I’d love to make these twists for brekkie! However, rising at 3am to allow for at least 2hrs of rise time is unappetizing. How can I prep them the night before so I could finish them in the morning and pop them in the oven?? Hey Tobi. You could make them all the way up to the shaping step. 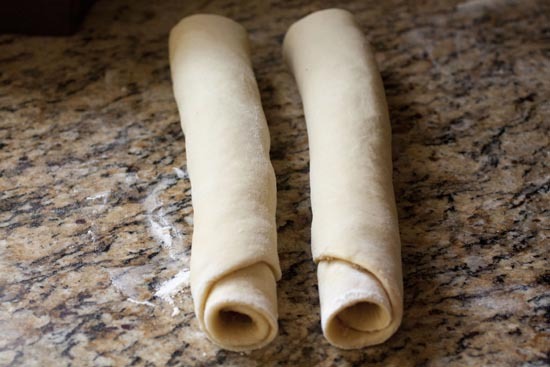 So make the dough and filling, roll them up and then just stick them in the fridge. In the morning, slice them, let them rise for 30-45 minutes, then bake them! Oh, yum! Nick, do you think the dough would adapt well to using a bread machine? Oh, these look so delish! I’ve made cinnamon rolls before, but never thought to make twists out of them. I bet these would be tasty with a “schmear” of cream cheese frosting, too. Great idea! hey Nick, I’m just wondering what kind of yeast you used, like quick rise or regular or whatever? thanks!! Hey Hannah, I use active dry yeast, but honestly I think any yeast appropriate for baking should work. Just make sure you give it time to activate in water/sugar before mixing in other stuff. definately going to try this one!! amazing idea. 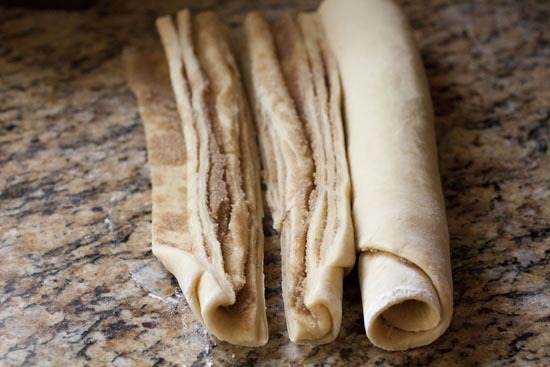 The recipe here says to roll up dough starting from long end but when you go to print recipe, it reads roll up from short end to get more layers. So the recipe is different between what you see here and when you go to print it. I was wondering how I got short end in my directions. I made these last week and they were a hit, but I rolled it from long end as you now have to cut it in half, then slice it down the middle. Hey Rob, Oops! I’m pretty sure I rolled from the long end, then cut the log in half and then split each half down the middle. I fixed the print recipes to say that also. Thanks! Do you have to use the yeast? Will they taste the same? Yea… you need the yeast so they will rise. Otherwise you’ll have hockey puck twists! Good luck!